China’s decline as a great power in the 19th century wasn’t the fault of imperialism and opium. It was bad monetary policy, after all. So says Werner Burger, a numismatic historian and Sinologist who has published a detailed history of money in the Qing Dynasty, entitled “Ch’ing Cash.” Mr. Burger has spent his professional life tracking down details of nearly every coin minted in China over three centuries. After three decades of making official requests, it wasn’t until 1996 that Beijing granted him access to the previous century’s imperial mint reports, the modern equivalent to central bank money supply statistics. 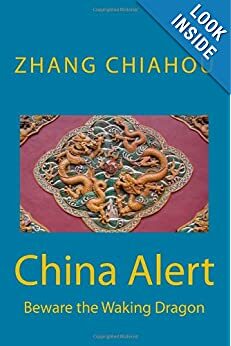 His conclusion: The Jiaqing Emperor, By letting the fakes infiltrate the economy, the Jiaqing emperor and his successors allowed the effective exchange rate for standard brass Chinese coins to swell from the official rate of 1000 per unit of silver to as high as 2500. Soldiers wages were effectively halved, giving them little incentive to fight the various battles against Western colonizers. Mr. Burger refutes the notion that China’s trade with the United Kingdom, which for a time involved China sending silver to the U.K. in exchange for opium, was responsible for the debasement. He said the amount of silver sent abroad didn’t affect the exchange rate, noting a mid-century period of three decades when China actually experienced silver inflows. Amid such currency instability, “all attempts at economic reforms and progress were bound to fail. China had no chance to catch up with the rest of the world and so lost a whole century to corruption and greedy officials,” says Mr. Burger. For investors who want to learn from China’s past mistakes, the two volume history will cost a pretty penny: $800. After hunting corrupt cadres over the past three years, the Communist Party’s much-feared graftbusters are switching gears to political policing. In the process, they have emerged with an authority perhaps unparalleled since ancient China. With President Xi Jinping’s blessing, the already-powerful Central Commission for Discipline Inspection is stationing inspectors in all central party and government departments, extending its reach into the top echelons of China’s bureaucracy. In addition to targeting graft and waste, the CCDI has also become a kind of thought police for officials, academics and propagandists. Its inspectors are increasingly denouncing those deemed disloyalty to the party leadership. The agency’s expanded scope reminded the Procuratorial Daily (in Chinese), a newspaper run by China’s top prosecutorial agency, of how Ming Dynasty rulers in the 14th century fortified a body of imperial censors who hunted errant officials in the name of the emperor. Embedded in the Ming court’s six ministries, the censors could make direct representations to the emperor, despite their relatively junior rank, and assist the monarch in administrative tasks. Recent developments, legal experts say, suggest that Mr. Xi is transforming the agency from a party watchdog into an arm of government. “In effect, Xi Jinping is creating a parallel bureaucracy that can go around existing party and government institutions, to make things happen,” said Carl Minzner, a law professor at Fordham University who studies the Chinese legal system. Disciplinary inspectors have also found a role in imposing party ideology beyond the traditional corridors of power. The first ever official directory of siheyuan – the traditional courtyard homes of Beijing – is expected to be published by the end of this year. Nearly 1,000 siheyuan have been logged, with owners’ details, floor plans, photographs, and accounts of their construction. The directory, compiled by the Office of Beijing Geographical History, will provide the fullest record yet of what were the capital’s most important dwellings before the modern era. But 100 have been omitted because their owners refused to collabourate. Tan Liefei, the office’s deputy director and an editor of the directory, said some of these were well preserved, “structurally very complete” contained valuable ancient artifacts. But they were owned or used by organisations or individuals who were not “cooperative” to the survey, he said. However, more than 10 courtyards built in the Qing Dynasty had been discovered in the mountains, he added. They were well preserved with grand structures and sophisticated decorations, some rivalling similar buildings in urban areas. It is believed that Beijing has a total of more than 3,000 courtyard houses, but how to preserve them has become a controversial subject. While some argue that they should be commercialised and converted into hotels or restaurants, some say their structures and interior decorations should be strictly preserved and used for non-profit purposes such as museums. The condition of many siheyuan has deteriorated overt the years, with families adding illegal structures such as additional rooms or kitchens. But well preserved and updated siheyuan have become the residences of the privileged, with average prices exceeding 100 million yuan (HK$126 million). via First directory of Beijing’s traditional ‘siheyuan’ courtyard homes to be published | South China Morning Post. China has a fifth of the world’s population but just 7 percent of its water resources, and the situation is especially precarious in its parched north, where some regions have less water per capita than the Middle East. The plan is still being finalized but the budget has been set, exceeding the 1.7 trillion yuan ($277 billion) China plans to spend battling its more-publicized air pollution crisis, the China Securities Journal reported, citing the Ministry of Environmental Protection. It will aim to improve the quality of China’s water by 30 to 50 percent, the paper said, through investments in technologies such as waste water treatment, recycling and membrane technology. The paper did not say how the funds would be raised, when the plan would take effect, or what timeframe was visualized, however. Groundwater resources are heavily polluted, threatening access to drinking water, Environment Minister Zhai Qing told a news conference in the capital, Beijing, last week. According to government data, a 2012 survey of 5,000 groundwater check points found 57.3 percent of samples to be heavily polluted. China emits around 24 million tons of COD, or chemical oxygen demand, a measure of organic matter in waste water, and 2.45 million tons of ammonia nitrogen, into its water each year, Zhai said. Over the next five years, China has previously estimated it will need to spend a total of 60 billion yuan to set up sludge treatment facilities, and a further 10 billion yuan for annual operation, the environment ministry says. China is short on water to begin with but its water problems are made worse by its reliance on coal – which uses massive amounts of water to suppress dust and clean the fuel before it is burnt – to generate nearly 70 percent of its electricity while self-sufficiency in food remains a key political priority. via China to spend $330 billion to fight water pollution -paper | Reuters. A Norwegian museum will return seven marble columns, taken about 150 years ago from western Beijing’s Imperial Yuanmingyuan Garden, or the Old Summer Palace. The deal was reached under a trilateral agreement made by the museum, Chinese tycoon Huang Nubo and Peking University. The columns will return to China in September and be publicly exhibited at Peking University after maintenance and restoration work. Huang, chairman of Beijing Zhongkun Investment Group, will donate 10 million Norwegian kroner ($1.63 million) to the museum. Huang told China Daily that the museum donation is not a trade or “throwing away money”, but “a very meaningful action that shows patriotism, as well as a way of repaying back the mother country, which made me rich”. Karin Hindsbo, director of the Kode Art Museum in Bergen, told China Daily that “the donation shall be used on academic research and the general care of our collections of Chinese art“. “A donation like this makes a world of difference for Kode,” Hindsbo said. Huang said he was invited to visit the art museum in Bergen, Norway’s second-largest city, by then-director Erlend G. Hoyersten when Huang was at a Sino-Scandinavian poets’ exchange event in Norway last year. During the Qing Dynasty (1644-1911), British and French expeditionary forces invaded the garden in 1860, removing its precious imperial collections and burning the rest. Norwegian cavalry officer Johan W.N. Munthe got some of them from unknown sources and donated 2,500 Chinese artifacts to the Kode museum in the early 20th century. via Old palace columns coming home- Chinadaily.com.cn. 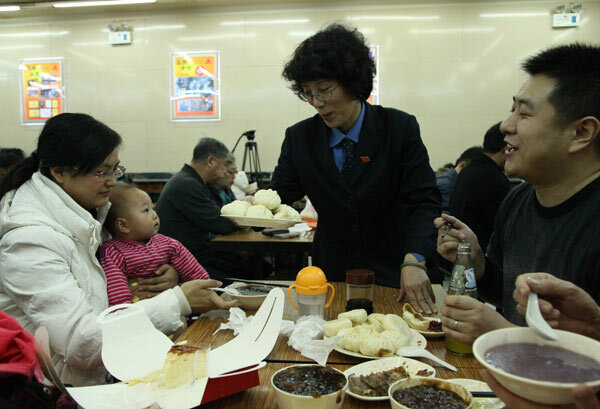 \”A president\’s set meal,\” said Sun Zhengcai as he waited to be served at the Qing Feng Steamed Dumpling Shop in Beijing\’s Xicheng district. Just two days earlier, on Saturday, President Xi Jinping had dropped in unexpectedly for lunch, and fame of his visit had spread far and wide. Sun, a 33-year-old ex-soldier, could have been home on Monday if he had taken a train from Weifang, Shandong province, where he had been on a business trip, straight to Liaoning province. But he chose to change trains in Beijing with his five boxes of green turnips, making the trip six hours longer and more than 200 yuan ($33) more expensive. Sun spent 50 yuan to store his 25 kg of turnips at the station and arrived at the shop at about noon to join a line more than 50 meters long. After waiting for nearly half an hour, he took his \”president\’s meal\” and went to the table at which Xi had sat — where Sun joined another line to wait for a chance to sit in Xi\’s seat and have his photo taken there. Sun then quickly moved to another table because of the large number of people who were waiting their turn to be photographed at Xi\’s table. The first thing Sun did, however, was not to start enjoying the dumpling stuffed with pork and green onions, but to upload to WeChat, a mobile social networking app, the photo he had asked another customer to take of him. \”The greatest honor I had during my stay in Beijing was to have a set meal of the president,\” he said in the photo. After getting one more photo of himself in front of the shop, Sun hurried back to the train station. Pan Xinxin, 27, a postgraduate student at the Central University of Finance and Economics, also decided to come to taste the same meal Xi had ordered after hearing of the president\’s visit. \”President Xi\’s deed makes me feel he is quite close to the young and not reserved, and this makes us like him very much,\” Pan said. Pan decided to visit the restaurant because it is \”affordable\” and \”it\’s a place we can experience firsthand\”. According to an online post from Baidu, the largest search engine in China, the term \”Qing Feng Steamed Dumpling Shop\” had been searched for 33,317 times on Saturday. via Tale of Xi’s dumplings draws crowd |Society |chinadaily.com.cn. Fans of China\’s President Xi Jinping said they were pleasantly surprised after photos of him dining in a popular Beijing steamed bun restaurant went viral. Pictures, taken and shared by fellow diners, showed a casually-dressed, smiling Xi queuing up at a Qingfeng steamed bun restaurant in the capital. Xi, who appeared to be dining alone, was seen to have placed his own order at the counter, paid for it, and carried his tray before sitting down to enjoy his meal in the room full of people. Diners, after realising who they were sitting close to, strove for a glimpse of Xi. Many used their phones to record the unusual encounter, which Xi didn\’t seem to mind. \”Only leaders who care about ordinary guys will do this, and he will win respect and care from his people,\” wrote one blogger. \”I can\’t believe my eyes – President Xi lined up, paid his own bill, and fetched his own food,\” read a message posted on the official Weibo page of the People\’s Daily. Others, however, weren\’t so impressed. \”It\’s just a show and people should stop reacting like they were slaves\” one microblogger wrote . \”Start thanking him when China has fixed the food safety issues,\” read another comment. An average meal costs 16 yuan (HK$21) at a Qingfeng steamed bun restaurant, a popular chain store in the Chinese capital, according to restaurant review websties. via Photos of Xi Jinping eating at a popular Beijing restaurant go viral | South China Morning Post. SCMP: “Beijing has agreed to lend art exhibits for a major joint exhibition in Taipei, the head of Taiwan’s top museum said on Sunday, as the two former rivals push ahead with detente. Feng Ming-chu, director of Taipei’s National Palace Museum, will fly to Beijing on Monday, the first such trip since 2009 when the chiefs of the museum and of Beijing’s Palace Museum made landmark exchange visits. Feng will meet her mainland counterpart Shan Jixiang to discuss the loan of more than 30 artefacts from the museum, also known as the Forbidden City, for the exhibition in Taipei in October. “The Palace Museum in Beijing has agreed to our proposal for loaning artefacts,” she said. The exhibition, which will also include some items from the Taipei museum, features the artistic tastes of Qianlong (1735-1796), an emperor in China’s last dynasty Qing. “Hopefully the co-operation between the two museums will be further enhanced through the visit, following the 2009 ice-breaking exchange of visits by the curators of the two sides,” Feng said. The 2009 visits resulted in the loan of 37 works from the Beijing museum to the Taiwanese museum later that year. via Beijing to lend Taiwan historical artefacts from Forbidden City | South China Morning Post. China Daily: “Billionaire behind major philanthropic projects says there’s always more to do. 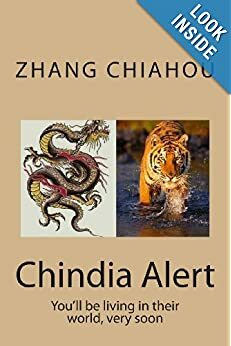 Entrepreneur and philanthropist Chan Laiwa, also known as Chen Lihua, is no stranger to lists of the world’s richest people, from Forbes to Hurun. But the self-made billionaire finds there is “so much” beyond wealth. “While wealth does come through our hard work and efforts, it is not the ultimate goal and is not above everything,” Chan, 71, says in her Manhattan hotel room the day before she was honored at an April gala as one of Time magazine’s 100 Most Influential People for 2012. Such sentiments might seem standard from any rich person concerned with public image, but Chan in person – sincere, humble and thoughtful – makes people around her feel at ease. She impresses most with her passion for art, particularly of sandalwood, a medium she has loved since she was a girl. Born into a family of Manchu, the ethnic group that led Chinas last imperial dynasty, the Qing 1644-1911, Chan spent most of her childhood in the Summer Palace in Beijing. She is a descendant of a noble Manchu family of the Yellow Banner Clan, some members of which were ministers of state under the Qing emperor. Chan’s childhood home was furnished with red sandalwood, a material used in the emperors’ palace in bygone times. “As I grew older, I felt the need to preserve this important part of Chinese culture,” recalls Chan, who opened a furniture factory in the 1980s and began making old-style pieces modeled after those from Beijing’s Palace Museum, more widely known as the Forbidden City. In 1999, Chan fulfilled a childhood dream by investing in a $16 million red sandalwood museum in the capital. The thousands of treasures displayed there include a scale model of a corner tower in the Forbidden City, a reproduction of the memorial gateway carved with 320 dragons from Longquan Temple in Shanxi province, and a number of intricate furniture pieces and sculptures. She made her fortune in the 1990s through a series of real estate ventures involving her Fu Wah International Group, the Hong Kong company fashioned out of Chan’s furniture store. The businesswoman later moved to Beijing for more opportunities. Chan was recently voted among Time magazines 100 Most Influential People in the World for 2012.